Ecumenica: Performance and Religion attends to the combination of creativity, religion, and spirituality in expressive practice. A peer-reviewed journal, Ecumenica regards performance and religion as overlapping and often mutually-constituting categories, preferring no particular form of creative expression, and privileging no particular religious tradition. The journal’s very aim is to consider the variety of modes in which creative and religious impulses might be realized. Ecumenica invites submissions from established and emerging scholars. Ecumenica publishes two issues per year, in the Spring and Fall. While many are open topic volumes, we also regularly sponsor special issues on a variety of subjects. FEATURE ESSAYS: Analyses/scholarship that uses standard research practices and methodologies, and that employs current theory in performance studies, religious studies, and/or related fields. We are especially interested in studies of performance and praxis, though we do publish literary analysis and history. Essays are typically between 4000 and 8000 words. BOOK REVIEWS: Books on any topic related to performance and religion are acceptable. Typically, we curate our book reviews. Authors who would like to submit a book review should contact Ecumenica‘s Book Reviews Editor with a proposal. Book reviews usually run between 700 and 1200 words. PERFORMANCE REVIEWS: Performance reviews of 1000 – 2500 words should focus on a recent performance/event. Performances may include, but are not limited to, theatre, dance, music, performance art, and installations, and might include rituals, ceremonies, festivals, and other acts of worship or devotion, as appropriate. Performance reviews might include other performative phenomena that intersect with religion, spirituality, and notions of the sacred. Authors should contact Ecumenica‘s Performance Reviews Editor prior to submission. 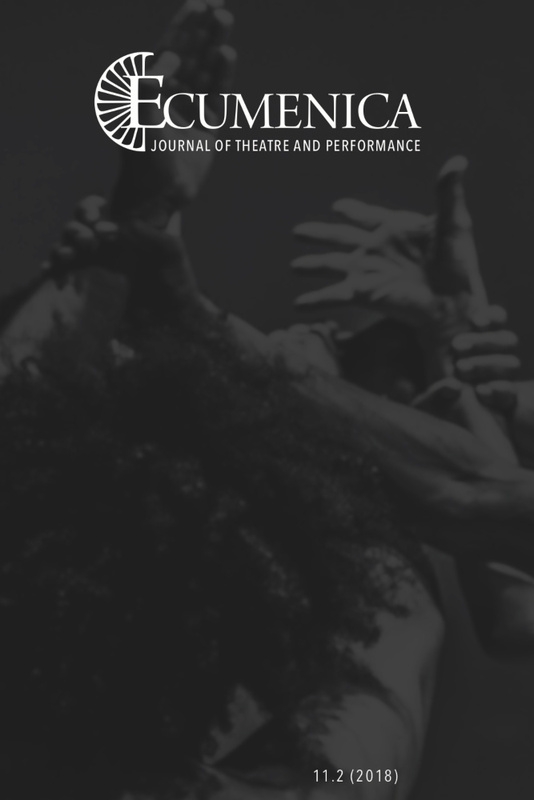 INTERVIEWS: Conversations with actors, directors, playwrights, scholars, historians, theorists–anyone whose work is connected to the journal’s interests and appealing to our readership. Typically we directly solicit interviews. Please contact the editor with an interview proposal prior to submission. PROFILES: Concise introductions to individuals, groups, or works connected to the journal’s interests and the concerns of our readers. A profile should increase public awareness of important performers, writers, troupes, performance venues, libraries, archives, and collections. Profiles may be submitted by third parties or (occasionally) by the subjects themselves, but should be academic summaries, not press releases or advertisements. Profiles should not exceed 2500 words. SCRIPTS/EXCERPTS: Very occasionally, the journal publishes scripts or script excerpts from plays related to the journal’s interests. This has included adaptations of classic plays, work by emerging playwrights, and excerpts from established artists. Generally, these are solicited from pre-selected authors in connection with special subject volumes. While Ecumenica will occasionally examine unsolicited manuscripts, we cannot publish full-length plays. Please be aware that space for scripts is considered after the rest of a given issue’s content is determined, and many issues will not feature play script content.